Doing! 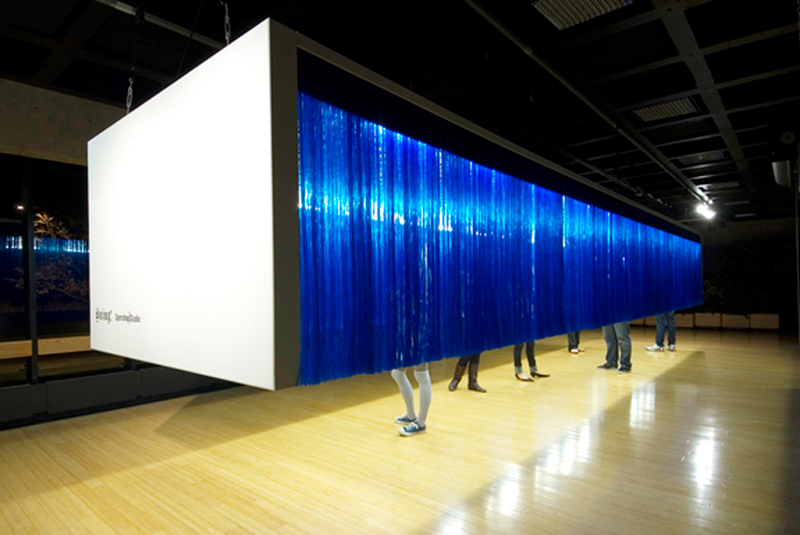 is an installation that rejects the conventional notions of architectural exhibitions. Opposing the all too common practice of “displaying” projects through the use of graphic panels and models, Openshop Studio and SLAB Architecture chose an installation as their medium to express both studios’ attitude towards design and the process of spatial production. 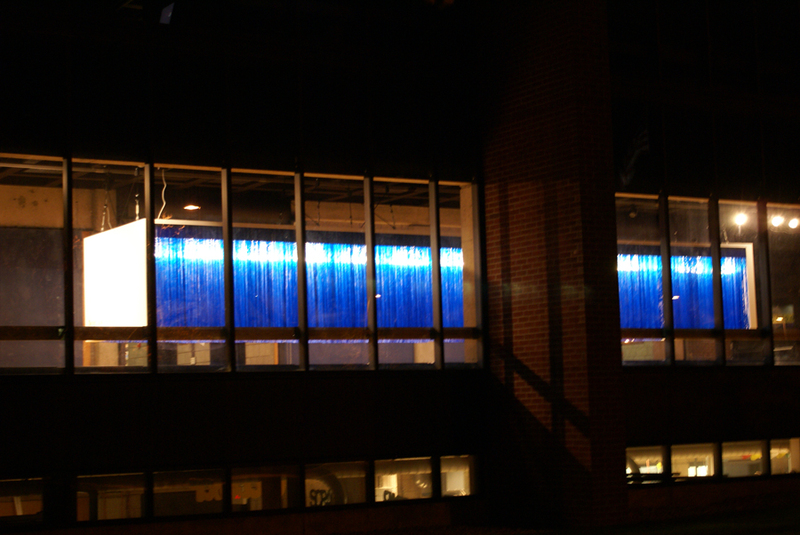 The installation is an illuminated bar that is suspended in the gallery space. 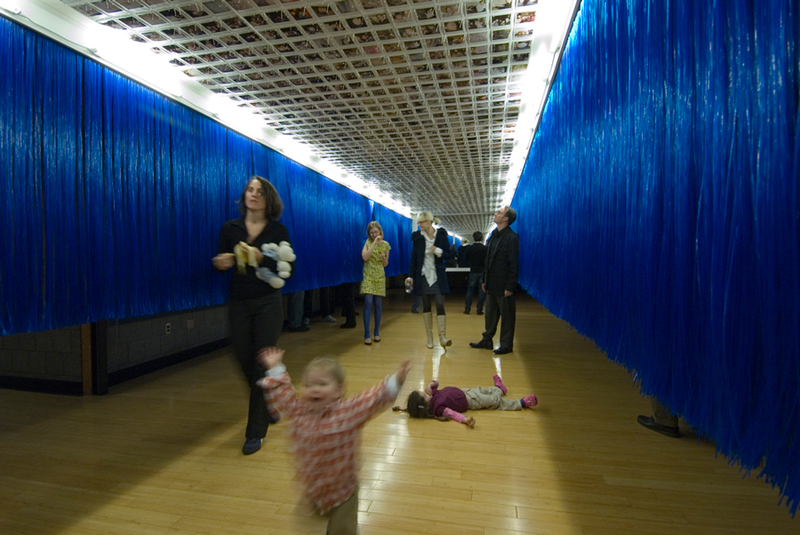 The bar can be entered along its sides through a blue brush curtain. Inside, a ceiling mosaic of nearly 2000 Polaroids illustrate the activities of both studios as they ‘do’ architecture. The photographs capture the studios during intense moments of production, during site meetings, at client meetings, teaching, and socializing to name a few.